Unfortunately for us, we visited Warsaw on New Year's Eve, and all the stores were closed the following day. So we only walked by the American Bookstore on Koszykowa 55, and peeked in through the windows. At least we got some information from our friend who's a Warsaw local, and we visited the American Bookstore in Krakow later on. 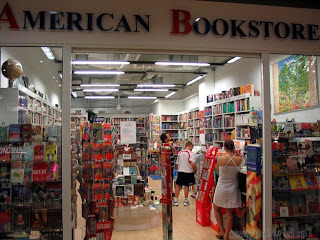 American Bookstore is the name you can find on several exclusively English bookstores in Poland. 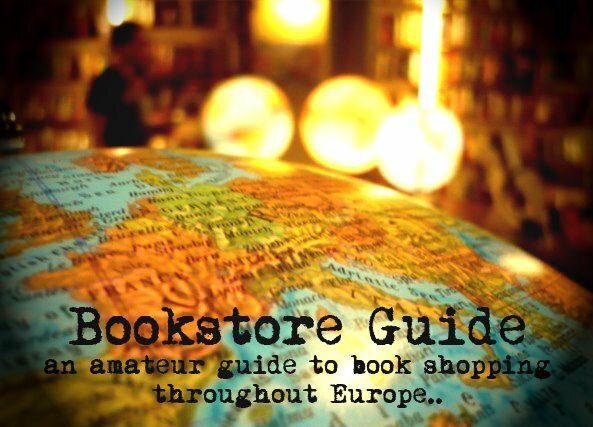 Although there are six American Bookstore locations in Warsaw, each one of them is specialized in a different field, so you can pick the one which suits your individual needs best. This is a very good idea, since each of the bookstores holds a slightly different stock. What is common for all the bookstores, is that the selection of titles is wide and also fresh, as they are usually the first ones to get new titles from the US or UK on their shelves in Poland. During its existence which is now well into its second decade, the American Bookstore has established itself as one of the best sources of books in English language in Poland. It currently operates eight stores (for their full list with addresses click HERE), its main base being the capital Warsaw, where six of their bookstores can be found. One thing which should be improved in our opinion is the website, as it is only available in Polish, which is a shame for an exclusively English bookstore. The American Bookstores take a special pride in their Polish interest section, where you can find many translated Polish classics from the fiction category, but also lots of books related to the history and culture of Poland. Besides a selection of classics and contemporary titles in the well-stocked fiction section, there are non-fiction books from many categories (history, politics, philosophy, religion, but also art, photography, architecture, or business...), an extensive selection of travel guides, and even English language teaching materials and dictionaries. American Bookstore has 5 more locations in Warsaw and one in Konstancin Jez and Krakow. For other locations, click on 'KONTAKT' on the official American Bookstore website. The website suggest they're not longer selling books in Warsaw. The only address is Kraków. They sell online, but I was years ago an "insider" and I would recommend against shopping there.